When Silman Roofing, LLC is on the job, you can feel confident that you’ve hired a licensed, insured and bonded roofing and construction company, and that every job will be guaranteed. But most importantly, we’ll be in business tomorrow as well as years from now. The reasons are evident in every job we finish: professionalism, craftsmanship and exceptional customer care. Whether you need new residential or commercial construction, a small storm damage repair, or a full re-roof or siding replacement, you’ll receive the same excellent service that sets us apart from the average roofing and home improvement company. Silman Roofing, LLC is ready and capable of tackling any roofing repair or home renovation project. 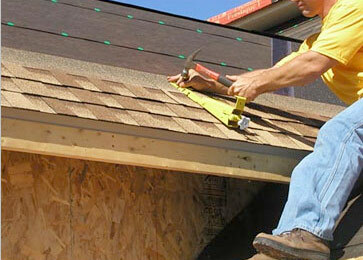 We work with all types of roofing. And we can handle all of your exterior home remodeling projects too from simple window replacements and gutter installation to whole home exterior painting, complex deck building and siding replacement. Silman Roofing offers much more than just roofing. We also offer all kinds of interior home improvements, upgrades, remodeling and renovations too. Our services range from interior painting and flood damage restoration to tile, laminate and wood flooring installation.